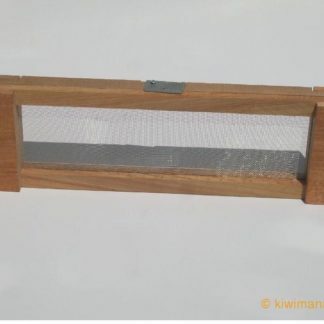 I had for years had a thought of having bees. 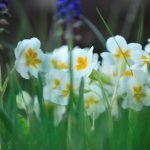 In mid 2014 I had the opportunity to attend a beginners’ course at Rutherford College run by Margaret. By the end of the course I was bitten (or perhaps I should say stung). 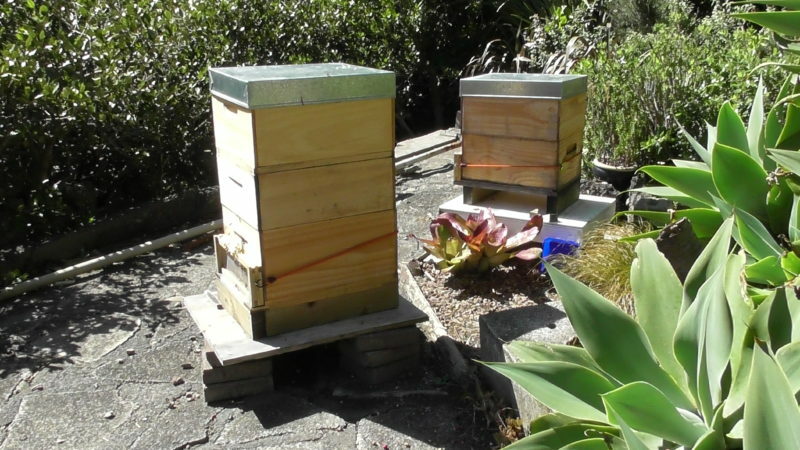 Late 2014 and the first hive arrived and was settled in at the back of the section. 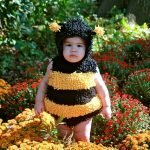 My relationship with bees began. The theory had now become the practical. Spent the first few days popping down the back frequently to make sure that all was still ok and the bees were going out and coming back as all good bees should do. 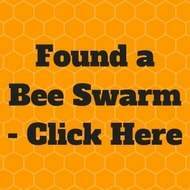 The main task at this time was to ensure that the hive became fully established over the summer. Eventually took the plunge and opened up the hive to check that all was ok. All seemed happy with plenty of brood (what a relief!) but no sign of the queen. I decided not to take any honey off for the 2015 season to allow a good supply for the coming winter. I like to think this was the reason but it’s more likely the fact that the novice in me was showing and by the time I decided to extract honey it was getting too late to do so!! 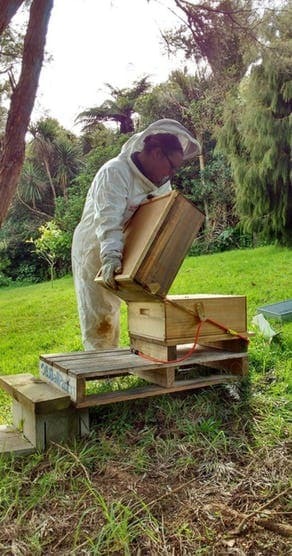 The rest of the year was taken up with the expected day to day management of the hive. Late 2015 and my first hive split was done. 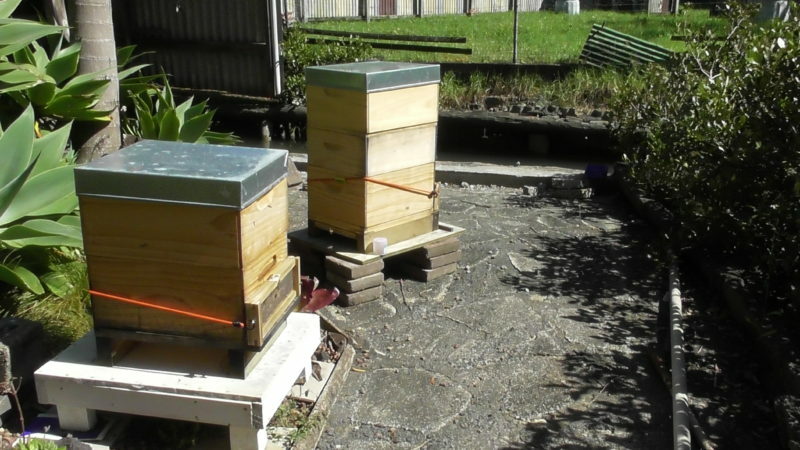 Did all the correct procedures, set up the new split hive and waited. 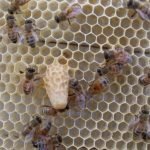 After about seven weeks opened up the hive to find that all was well-new brood and new eggs but once again no sign of the queen. In fact, I have yet to sight the queen in either hive. Know they are there by the presence of brood and new eggs-most elusive. Now the proud owner of two hives. The next major bit of excitement was harvest time resulting in 25kg of honey. It is hard to describe the hard work of the day coupled with the thrill of seeing the honey gather as you process. Makes all the work done during the year worthwhile. As I had harvested in February had a sample tested for Tutin to ensure that all was ok to consume. Test came back negative so sure the honey will be put to good use. Family have put their orders in and will give some to immediate neighbours. 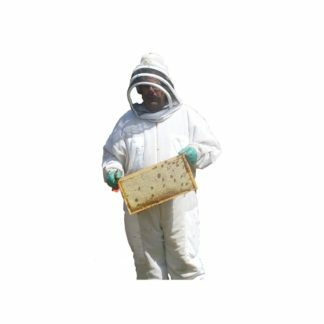 I have found that if hives are to be managed correctly it does involve a lot of commitment and hard work but the rewards are immense. 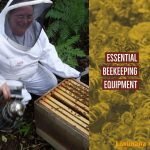 As well as the honey harvested there are other benefits. 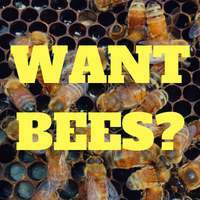 Since having bees on site I have noticed a higher cropping on our many fruit trees and vegetable garden. I also enjoy just going down and observing the behavior of the bees. At present I am fascinated by the reaction of the bees when under attack by the large number of wasps and robbing bees around. 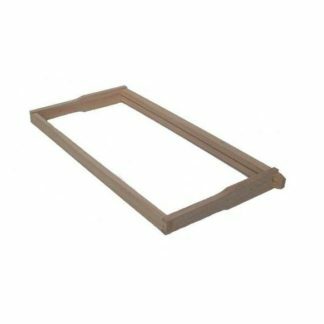 Can certainly see the value of robbing screens. 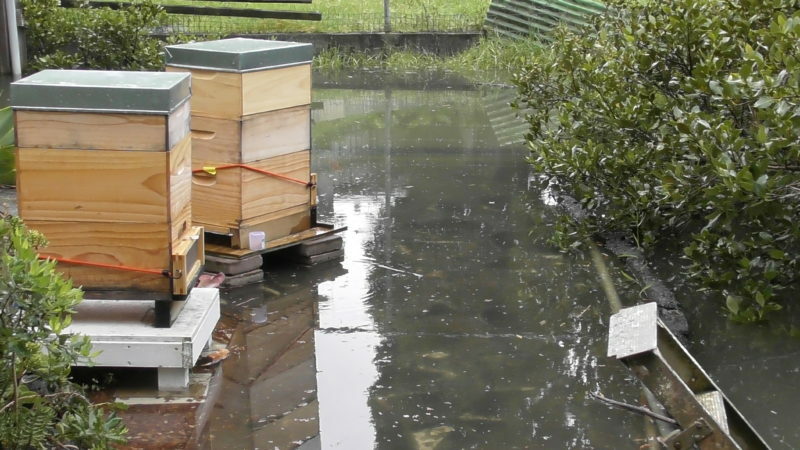 As you can see from the photos my hives are placed in an environment where at certain times extra high tides occur and they are surrounded by water. Not your normal environment but it certainly does not appear to effect the bees. I just had to make sure that they were high enough off the ground so that water did not enter the hive. The last 18 months has been interesting. There were things I should have done but didn’t but my bees survived. With experience I shall become more confidant in what I do. ….bzzz….what to do when you have grumpy bees….